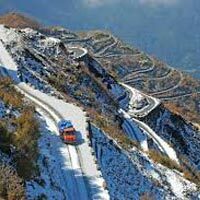 Pick up from Bagdogra airport/NJP and drive to Darjeeling. 04 hours drive. Today you will drive through small villages in the hills and tea gardens on the both side of the road. Overnight stay in hotel with bed and breakfast basis. 04.00am Tiger Hill 40 min drive, Khangchendzonga view point with beautiful sunrise. After breakfast visit HMI institute/Zoo/Ghoom Monastery/Dali Monastery/Tea Graden/Himalayan Railway/Japanese temple/Mahakal mandir. Over night stay in hotel with bed and breakfast basis. 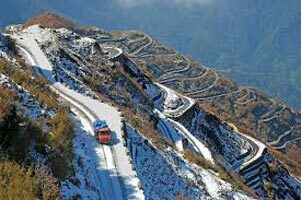 Darjeeling to Pelling via Jorethang(Nayabazar). 03 hours drive. On the way to pelling,you will see tea gardens,small rivers,rangit river,Legship Temple,etc. Early in the morning walk 30 minutes to visit Sangachoeling Monastery. The view of Mt. Khangchendzonga Range will be stunning from this point. After breakfast visit Pemayangtse Monastery and Rabdantse Ruins. And drive to Kcheopalri Lake,it’s a wishing lake and sacred. On the way visit Chaar Dham, Sandruptse at Namchi and Buddha Stupa in Ravongla. After breakfast transfer from Gangtok to Lachen enroute visit Seven Sister falls, Phodong, Mangan, Singhik, Chungthang & Lachen. (Altitude - 9000 ft./128 kms/06 hrs drive) Overnight at hotel. After breakfast excursion trip to Gurudongmar Lake (Altitude 17,100 ft/144 kms both ways/03 hrs drive one way). After late lunch at Lachen transfer to Lachung. (50 kms/02 hrs drive) Overnight at hotel. After breakfast excursion trip to Yumthang Valley - known as the valley of flowers/Yumesamdong (Altitude - 13,400 ft./104 kms both ways/03 hrs drive one way) & natural Sulphur Hot Spring considered having medicinal values. Return back to Lachung for late lunch. Evening free leisure. Overnight at hotel. After breakfast transfer from Lachung to Gangtok. Evening Free Leisure. Overnight at hotel. After breakfast you will be drop to the railway station or Bagdogra airport.